Chester is a lovely city to visit. So much of it is traffic free – whether in the mostly pedestrianised city centre or up higher viewing it from the wonderful city walls. 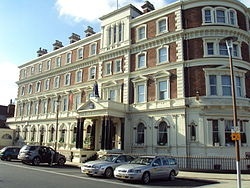 We stayed at the historic Queen Hotel. The first “railway hotel” to be built many well known people have stayed there since and over recent years they have linked to a modern building behind if you prefer a contemporary style. All the staff we met were lovely from the entertaining concierge to the well informed restaurant waitress and when we had a problem with the shower in our room we were moved to another room swiftly during dinner. On the first day we just wandered, which we’re very good at! 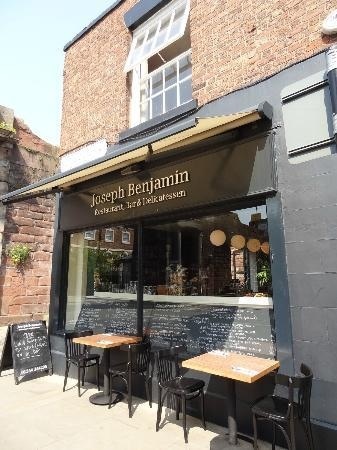 I had a mission to find a couple of places but other than that we just enjoyed the walk from the hotel along the canal and up into the city not particularly heading anywhere until lunch called and we found Joseph Benjamin a restaurant, bar and delicatessen on Northgate. This was one of the places I wanted to find as it was recommended by some fellow foodies and we were not disappointed. Mr W chose the charcuterie based deli platter and I chose the vegetarian antipasti platter. These came with a choice of breads and with the option of sizes the smaller plate was perfect for lunch knowing we had a dinner to look forward to later! Both our platters included a portion of their Potted Cheshire, an ancient recipe including sherry and spices. It was a lovely lunch the only disappointment for us being the smallish size cups for the cappuccino and no option for a larger coffee – but that’s us – we love our coffee and most other diners were happily enjoying their wine! 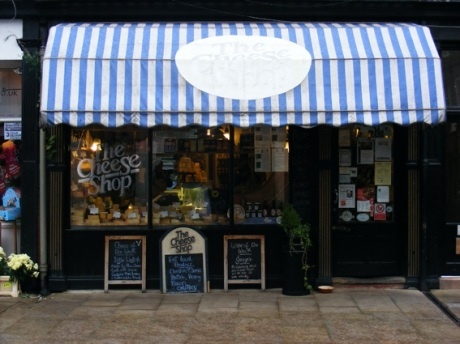 Handily, also on Northgate was our other destination – The Cheese Shop. For years the main source of our cheese via Northern Harvest they arrive in our weekly delivery beautifully wrapped and well kept. In fact this week we had already taken receipt of a larger than usual selection ready to take as a cheeseboard to a family gathering. The Cheese Shop is owned by Carole, a farmers daughter, and her expertise over more than 20 years is obvious in the huge selection they have in a relatively small store! We left the city centre to walk along the River Dee and then make our way back to the hotel to enjoy some time in the lounge with the roaring fire before getting ready for dinner. Our menu provided a good choice for us both. Mr W started with a goats cheese tartlet while I enjoyed a smoked haddock fish cake. My main course of Sea Bream was beautifully cooked and Mr W relished the Slow Cooked Belly Pork – not something I cook at home. We even managed desserts of Fudge Creme Brûlée and Bread and Butter Pudding. Our waitress happily spent time chatting to us about the history of the hotel – and recommending us to try their sister hotel too. On our second day we met up with Mr W’s walking group for a historical walk – there are a number of different ones around the city and this one – about 7 miles – took us around the outskirts and over the river, including the racecourse and part of the city wall. The member who led us had done his research well and we all had a good day. We did a similar city one with the group around Manchester and they are planning another in Liverpool. A walk with a story – perfect for me!